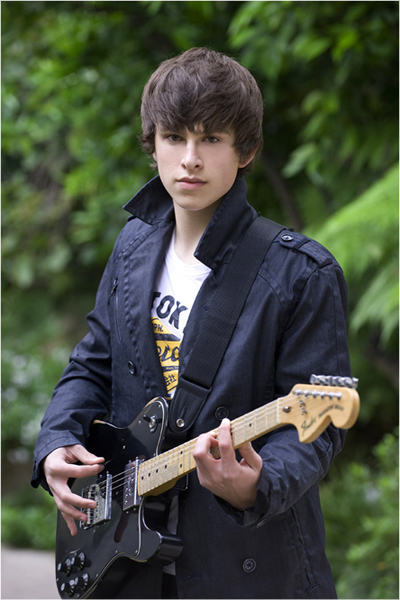 " Noah Benardout is a 16 year-old singer-songwriter from the UK, living in Los Angeles, California. " 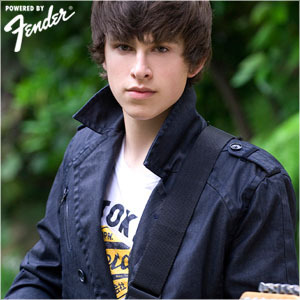 Noah Benardout is a 16 year-old singer-songwriter from the UK, living in Los Angeles, California. Heavily influenced by the UK music scene, he is related to the composer Irving Berlin. Noah’s debut 4 track EP titled “What Will Be…Will Be Vol.1″ was released April 2011, and produced by Don Gehman (Mellencamp, Hootie and the Blowfish, Tracey Chapman), engineered by Frank Rosato and featured Kenny Aronoff (drums), Chris Chaney (bass), Tim Pierce (guitars), Javier Gutierrez (lead), and Lisa Germano (strings). In October 2011, Noah followed up with “What Will Be…Will Be Vol.2″ with another compliment of 4 songs produced by the same team. closely with the Fender Music Foundation for the promotion of music education for the under privileged, having written a song for the Foundation called “We Battle” which will be released nationwide this spring. Two of Noah’s tracks were selected by Bands Under The Radar for their Best of 2011 Songs playlist on Spotify, and included on their compilation album BUTR Vol.4 available on iTunes. Noah recently performed at NAMM (on the Fender stage), Hotel Cafe, the Whisky A GoGo, Genghis Cohen and at the iPOP Awards. Upcoming shows include the Hard Rock Cafe (March 3rd) and the SXSW Music festival in Austin, Texas (March 16th).